French Montana and Sean "Diddy" Combs are once again showcasing how they are the definition of #FriendshipGoals, this time by way of supporting both one another and getting involved with important causes. Combs recently joined French Montana and The Weeknd in efforts to help improve maternal healthcare in Uganda. 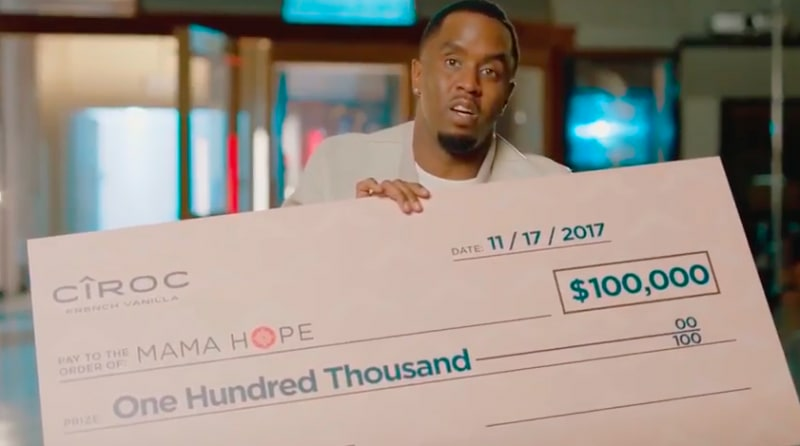 As reported, Combs has confirmed he'll be donating $200,000 to the Suubi "Hope" Health Center, with his generous donation helping support an initiative that French first kicked off after he finished filming the music video for his hit song, "Unforgettable," in Kampala. The campaign is also in partnership with the non-profit Mama Hope and Global Citizen. "I've always said my purpose is to inspire and empower the next generation to become great leaders – and to honor their hustle along the way," Combs shared in a statement to Rolling Stone. "In addition to passing the torch to French, I'm showing my support for the work he is doing in Uganda. Not only will Ciroc be donating $100,000 to support the organization Mama Hope, I am matching the donation so that our stories and successes can benefit as many people as possible." The contributions made by Diddy, French and the Weeknd total $400,000, with the money to go towards building a prenatal care clinic and a birth house, as well as buying a new ambulance and other items necessary for providing top-tier healthcare. The Suubi "Hope" Health Center focuses on serving a rural population in Budondo, Uganda. "It's important to give back, it's important to be an agent of change," Diddy can be heard saying in a promotional video urging others get involved. "That's a core part of being down with the Bad Boy family." See how Sean "Diddy" Combs is inspiring others to become an agent of change in the video below.